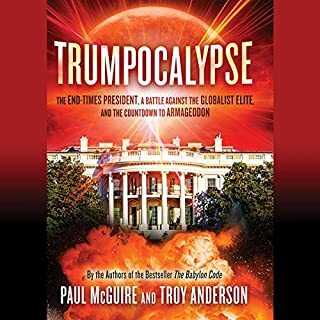 Prophecy is leaping off the pages of today's headlines. The return of Israel. Increased turmoil in the Middle East. The rise of ISIS. China and Russia's presence in the Fertile Crescent. The exponentially increasing technological explosion. The "Trojan horse" refugee crisis. America's collapsing borders. The rise of the Sodom and Gomorrah spirit. The targeting of Christians around the world and particularly in the Middle East and the United States. 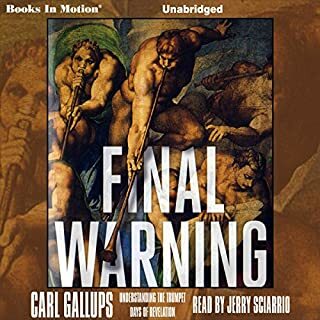 In Final Warning, beloved pastor and best-selling author Carl Gallups explores the stunning visions of the Apostle John as found in the seven trumpets of Revelation and overlays them on major events in the 20th and 21st centuries. How do the two world wars line up with John the Revelator's visions? Could it really be that the Chernobyl meltdown was foretold in the Bible almost 2,000 years before it happened? Does the rebirth of Israel indicate the last days are upon us? The destiny of Israel and the Christian church is bound together, evident in the scriptures. Learning this truth is essential for survival. Jewish Roots: Understanding Your Jewish Faith is an introduction to biblical theology from a Jewish contextual point of view, plus practical evaluation and council for the Messianic Jewish communities and the Christian church. This new edition considers recent biblical scholarship and evaluates the progress of the Messianic Jewish community - a pulsating grass roots movement. The reader should be ashamed! Listen to the shocking story that the media have ignored and covered up. In 2007, two Israeli news publications, Israel Today and News First Class, reported that the most famous rabbi in Israel's modern history, 108-year-old Yitzhak Kaduri, had left a cryptic death note revealing the name of the long-awaited Messiah. Within a year after the rabbi's death, the note was reported to have been verified as authentic by some of Kaduri's closest followers and then placed on Kaduri's own website (Kaduri.net). The purported Kaduri message proclaimed that Messiah's name was Yehoshua, or Jesus. Its significance shocked the religious world. Shortly thereafter the furor began. The note immediately disappeared from Kaduri's website. The media refused to report further upon the matter. The Kaduri family and several others close to the Kaduri ministry began to claim that the note was a forgery or a mere fabrication - a cruel joke. 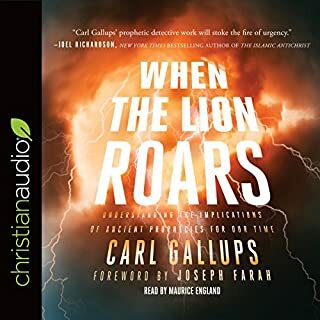 Now author, senior pastor, radio talk-show host, and former law enforcement officer Carl Gallups, uses his biblical knowledge and journalistic and investigative skills to explore the matter inside and out. Gallup's exciting, detailed reporting reaches startling conclusions that will amaze you. so many things in here i was unaware of...highly recommend you listen to this. i enjoyed it so much that i may also get the print edition to have as a reference book. Interesting, intriguing and sometimes emotional. 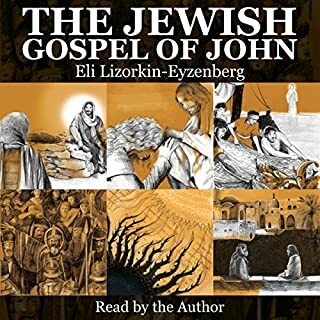 An interesting insight into the workings between Jewish and Christian relationships. The history is given in such a manner as to hold your interest and draw you into the events unfolding. I do know that I found this book an entertaining dive into the events and life of a great man. The writer has done good work here and is honestly providing his personal perspective with no subterfuge. As a Christian I believe that I know who the Messiah is. A's a Christian I pray for my Jewish brothers and sisters to find Jesus too! what an incredible story! I've listened to it at least 10xs and learn something new each time. Great read!!! Pass it on to your Jewish friends! I was definitely interested to here what the Rabbi had to say & what was in his note. However, for a Rabbi to be practicing magic or mystical powers that are forbidden by God in the Torrah...well let's just say I am not only surprised, but shocked & disappointed! I won't sit here & say I completely understand because I dont. The Jewish culture is entirely different than mine. However, God's word is the same yesterday, today & forever. On a positive note, but not to spoil anything for future readers, I was pleased to hear what was in the Rabbi's "note". I would definitely recommend this book to friends & associates. Thank you for the fine narration, very authentic! 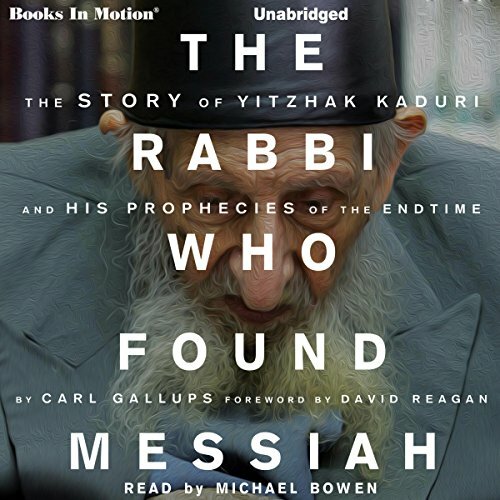 The Rabbi Who Found Messiah is a very intriguing story with many facets that the author, Carl Gallups examines quite thoroughly without interjecting opinion or bias. The reader is given much information for further research, prayer and the study of the scriptures. couldn't stop listening, very informative , good narration and easy to understand when he was quoting other people. Strong beginning and ending. Seemed like a little too much filler. overall an okay listening experience. Loved it!! All of Carl Gallops books have been amazing thus far!! God bless you, soldier if the Most High! Pastor Carl's Newest Book Is Amazing! The Story Of Rabbi Kaduri is Eye opening! 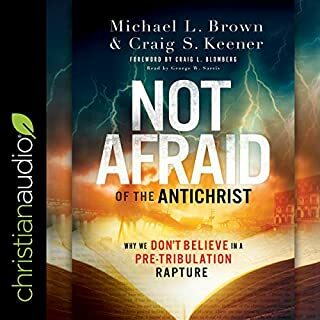 Much Thought and Research went into this Well Written and the Audio Version is Spectacular! I Highly Recommend It. Pastor Bill Haile Sr. Author Of A Walk In Assurance; Sustained By Faith And A Time Of Awakening; The David Cross Chronicles. 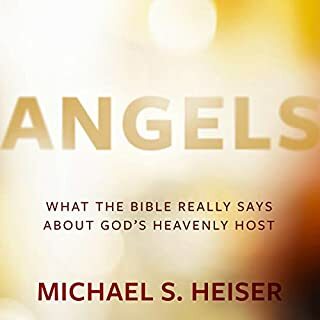 I really enjoyed this work and felt like I was enriched by it as far as my knowledge about the various different views regarding Judaism, Islam, Christianity and how this esteemed rabbi's words intersect with each of them. Highly recommended.